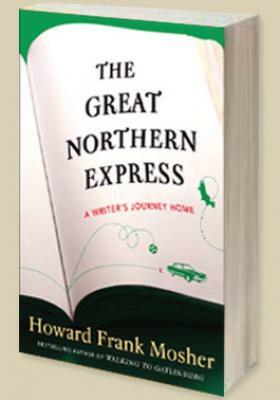 From bestselling, nationally celebrated author Howard Frank Mosher, a wildly funny and deeply personal account of his three-month, 20,000-mile sojourn to discover what he loved enough to live for. HOWARD FRANK MOSHER is the author of ten novels and two memoirs. He was honored with the New England Independent Booksellers Association's President's Award for Lifetime Achievement in the Arts and is the recipient of the Literature Award bestowed by the American Academy of Arts and Letters. His novel "A Stranger in the Kingdom "won the New England Book Award for fiction and was later made into a movie, as were his novels "Disappearances "and "Where the Rivers Flow North."